Personnel at Kent Nutrition Group in Rockford, Ill., were recognized for their achievement of 2015 Feed Mill of the Year award. Personnel at the Kent Nutrition Group (KNG) manufacturing plant in Rockford, Ill., were recognized May 25 for their achievement of the American Feed Industry Assn. 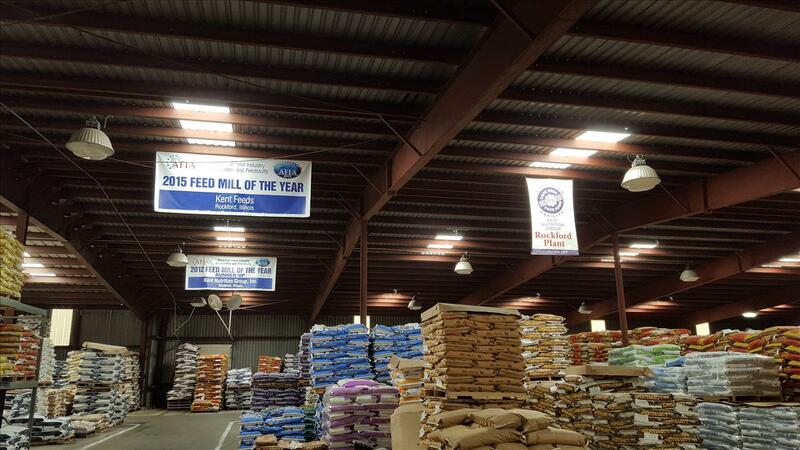 's (AFIA) and Feedstuffs' 2015 Feed Mill of the Year award. The award was officially presented to the management team during a ceremony in Atlanta, Ga., in late January during the International Production & Processing Expo. This week’s event paid tribute to the KNG team on location at the Rockford plant. 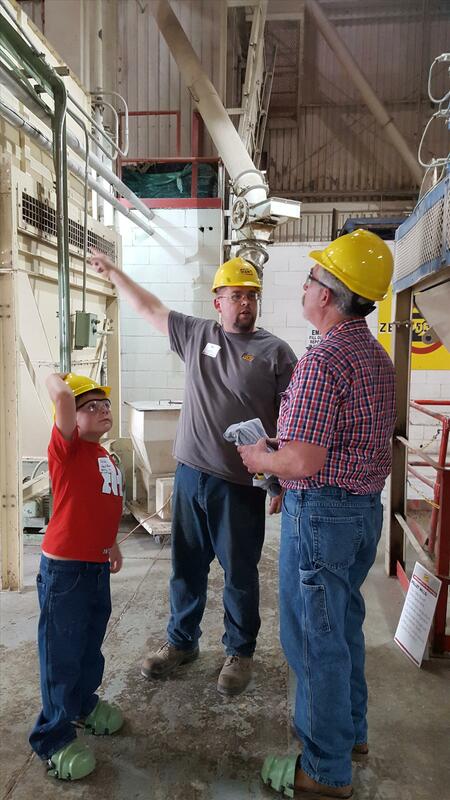 The Feed Mill of the Year program recognizes overall excellence in feed manufacturing operations, emphasizing safety, quality, regulatory compliance, operating efficiencies and overall industry awareness of feed safety. "The big value here at the Rockford plant is our people," said Thomas Smolen, manager at the plant since 2005. "We have a top-notch workforce with 11 full-time staff who work as a true team. They understand how things work at the plant during both our eight-hour shifts. They understand how things are supposed to be done, and our employees are all cross-trained to help out as needed throughout the plant." KNG president John Thorpe echoed that sentiment, saying, "Our employees have a sense of pride in their work as well as a commitment to doing that work right every day. They have a passion for turning out the top-quality products our customers have come to expect from Kent in the Midwest. "It is this passion for quality that drives our innovation and fuels our success through stringent standards and shared ingenuity across our plants and our brands," Thorpe added. The KNG Rockford plant, located at 1612 South Bend Rd., was constructed in 1964 and has the capacity to manufacture 20,000 tons of feed annually. The full-line facility is hazard analysis and critical control points certified and Safe Feed/Safe Food certified. The plant produces feed for beef cattle, dairy cattle and swine, along with a growing line of specialty feeds for pheasants/game birds as well as llamas/alpacas. The plant serves a market area that includes the lower two-thirds of Wisconsin and the upper one-third of Illinois. "Creating a quality product is job one for our team, and maintaining our facilities in 'audit-ready-all-the-time' condition is paramount with our Rockford group," Mike Gauss, KNG vice president of operations, said. "In fact, it is a priority at all of our facilities so that our teams produce the quality animal nutrition our customers trust them to deliver every day. "We are proud of our Rockford team, which is so deserving of this recognition and who exemplify our company's commitment to quality, service and trust," he concluded. "Kent Nutrition Group-Rockford should be applauded not only for its obligation to its customers but to its plant and the industry as a whole," said Gary Huddleston, AFIA manager of feed manufacturing safety and environmental affairs. “The Feed Mill of the Year Award is very much an earned recognition. The entry process is extensive, and the competition intense,” Feedstuffs managing director and editor Sarah Muirhead said, noting that more than 60 feed facilities competed for this year’s award. Mills entering the competition must complete a lengthy online survey about their operations. Those scoring the highest are then visited by a team from AFIA and Feedstuffs for an on-site evaluation. At that point, final selection is done. Kent is the KNG brand in the Midwest, and Blue Seal is the brand in the eastern U.S. KNG is a division of Kent Corp., a family-owned U.S. company with a history of innovation in animal nutrition. Other Kent Corp. food companies include Grain Processing Corp. and Kent Pet Group of Muscatine, Iowa, and Precision Foods Group of St. Louis, Mo.